Mister Rogers changes into an apron and goes to the kitchen where he takes out egg dying materials from the paper bag he has brought with him. Using eggs from the refrigerator, he decorates a few using the colorful dyes.Taking the eggs to the porch to dry, Mister Rogers runs into Audrey Roth who offers to show him her own collection of decorative eggs. In the Neighborhood of Make-Believe, Lady Aberlin and Handyman Negri would like to decorate eggs for their friends and ask Edgar Cooke for some hard-boiled eggs. Fresh off the stove, the eggs are very hot so Lady Aberlin and Handyman Negri blow on them to cool them off -- whistling as they blow. When King Friday XIII joins them, he also blows on the eggs -- whistling quite beautifully in the process. He explains that he became a good whistler by talking with the birds in the royal forrest as a young boy. Back at the house, Audrey returns with her collection of decorative eggs. She helps Mister Rogers as they clean up the egg dying materials from earlier. Mister Rogers uses regular eggs and explains that "most people hard-boil their eggs before they decorate them but we don't have time for that." After he learns that Audrey Roth has a collection of decorative eggs, Mister Rogers jokingly suggests that maybe "A.C.E." stands for "Audrey Collects Everything." After King Friday reveals that he is a talented whistler, he demonstrates a bird call: the "Brockle Speckled Spickle Spack" which he explains is a "make-believe kind of a bird." 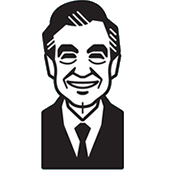 After Make-Believe, Mister Rogers shares that he cannot whistle: "It is very hard for me to whistle...Some people learn to whistle and some people don't."